Here, we would typically think of binging behaviors, maybe going on a “bender. Whether a three-day cocaine binge, or alcohol-fueled night of so-called “fun,” there are going to be some consequences for the individual. Certainly, anyone who has experienced blackouts or hangovers can attest to the discomfort and emotional turmoil that results when waking up with a foggy, less-than-clear memory as well as aches and possibly an illness. Drug and alcohol intoxication helps meet a need and is a form of coping, albeit an unhealthy one. Not only are there potentially serious consequences from binging behaviors, but long-term, chronic use of substances has an even more devastating potential. Alcohol, for instance, is commonly used and considered to be normal by most cultural and societal standards. If you suspect that a loved one is experiencing alcohol dependency, it is important to recognize the signs and consider the physiological effects of withdrawal and tissue dependency. Signs refer to the observable behaviors a person exhibits, while symptoms refer to the subjective feelings or effects on the person, and can only be determined by an observer if a person shares how they are feeling. A variety of psychological, biological and social factors are involved in developing alcohol dependency, and it is important to recognize the important role that biology has when first detoxing from alcohol, beginning with the substance’s effect on the body. Alcohol is a substance that, when consumed, passes from the digestive system into the bloodstream and binds directly to receptors for acetylcholine, serotonin, GABA, and the NMDA receptors for glutamate. This might seem like it is unimportant information, but each of these systems has an important role to play in homeostasis, and altering these neurotransmitters has a profound impact on the body’s functioning. Dopamine, for instance, is a natural stimulant within the body and naturally increases feelings of pleasure. It also impacts cognition, emotion, and movement. Decreasing GABA and glutamate results in feelings of depression, while increased serotonin levels make one feel like he or she is having an exciting time, including lower inhibitions. Physical dependence on a substance occurs when tolerance develops, and the compulsive need to use is what makes the difference between abuse and dependency – which is related closely to tolerance and dependence. What this means is that when a person uses, their body begins to develop a tolerance as an attempt to diminish the effects of the drug, requiring larger amounts for the same effect. In other words, the body alters its natural production of neurotransmitters to try and achieve homeostasis and tolerance results. Tolerance depends on the amount being used, the duration, the frequency, a person’s individual metabolism and chemistry, and their psychological frame of mind. Tolerance can develop as a result of metabolism speeding up to eliminate the drug or to make cells less sensitive to the substance. For instance, a brain could create more receptor sites. In some cases, the brain and body both adapt, while in other instances, a person might not perceive the effects of the drug, even though it will continue to have harmful secondary effects, like on the liver or lungs. Dangerously, after tolerance develops, some individuals might find that their bodies have become more sensitive to the substance. And instead of the expected response (which is often quite minimal), a user might experience an extremely intense reaction, drastically increasing the risk of heart attack or stroke. After developing tolerance, which can happen quickly, the body will physically adapt to the substance of choice, with the internal organs beginning to depend on the substance. Some health experts call this term “tissue dependence.” For instance, someone dependent on alcohol might “need” a drink to keep shakes and tremors at bay. After making the decision to halt alcohol use, one’s body and brain will suddenly be without its external supply of neurotransmitter, resulting in a plethora of symptoms and outward signs. This initial phase of withdrawal is termed “acute” withdrawal. Considering these symptoms, one might think that alcohol withdrawal is merely uncomfortable. However, alcohol withdrawal is very serious and can be life-threatening, resulting in seizures, strokes, hallucinations, delirium tremens (DTs) or heart attack in some patients. For some individuals, a medical detoxification facility is best equipped to monitor one’s safety during alcohol withdrawal. After the acute phase of withdrawal, some individuals might experience decreased physical symptoms, but more psychological symptoms. This is called the post-acute stage, resulting as the brain and body attempt to achieve chemical balance, though still fluctuating. This stage can last many years, and is not quickly resolved within a few days or even months. 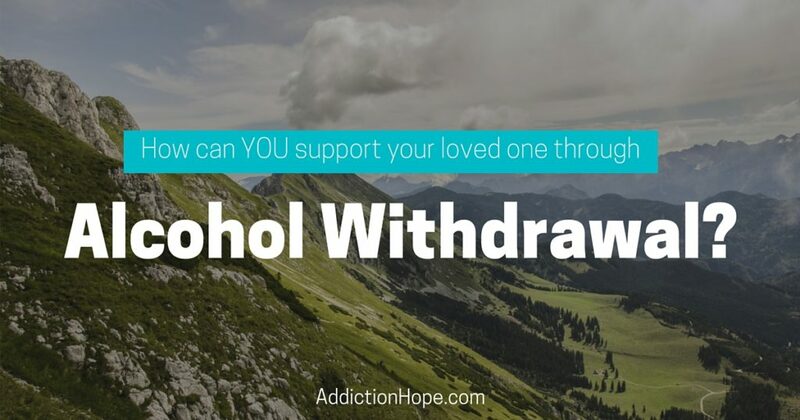 When your loved one makes the decision to abstain from alcohol, you can support them emotionally by being present and offering them your support. Have a conversation around what they think they might need, and if they have experienced withdrawal before. What was it like the last time for them? What’s changed? What do they foresee being a problem? You can encourage your loved one to attend an appointment with an addiction specialist or medical professional and explore local detoxification support programs. Keep in mind that for chronic alcohol users, the safest place to experience withdrawal might be under medical supervision. Your addiction specialist or medical professional can help you explore your options. Preparing to change takes work. While some individuals might decide suddenly to quit drinking, for most, this is a dynamic process that takes planning. 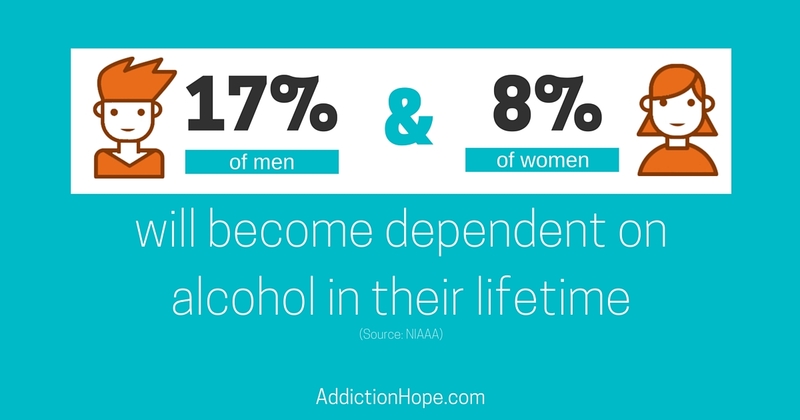 You can best offer support by educating yourself on the biological, psychological and social impact of alcohol dependency and withdrawal, and then exploring local options for addiction support. Finally, self-care is perhaps one of the most forgotten pieces of this process. Take care of yourself and set limits. There is likely a boundary as to how far you will go to support your loved one. Perhaps you are willing to take them to a detox facility, or spend time with them, but you might be unable to spend every day with them or to visit every day. No problem. Supporting them for a few days might be more achievable and something you are willing to do. Perhaps you draw the line at financial support, but are willing to provide other support. Doing some reflection on your limits and scheduling time for yourself are important. After all, if your resources are exhausted, you will be unable to help yourself, let alone your loved one! 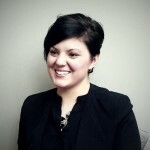 Gabrielle Cebuliak is currently undertaking her Master of Arts in Counseling Psychology from Yorkville University in New Brunswick, Canada. She previously completed a B.A. in Psychology, which provided her the foundation to pursue her Master’s degree. She has been working in the field of mental health and addiction for seven years. 1. Barclay, G. A., Barbour, J., Stewart, S., Day, C. P., & Gilvarry, E. (2008). Adverse physical effects of alcohol misuse. Advances in Psychiatric Treatment, 14(2), 139-151. 2. Inaba, D., & Cohen, W. E. (2011). Uppers, downers, all arounders: Physical and mental effects of drugs of abuse (7th ed.). Ashland, OR: Cns Productions.